Bigelow Tea, maker of one of our favorite teas, Constant Comment®, is just down the road from us, over Ash Creek. We have driven by the giant teapot on the side of the Bigelow headquarters for years. Recently, curiosity finally got the better of us. We were interested in sharing a bit of their story with you on the blog, and asked if they'd allow us to do so. They kindly welcomed us to visit for tea. Bigelow celebrated its 70th anniversary last year. It is a third-generation family of tea blenders. The orange-zest-infused, clove-tinged Constant Comment remains a family secret that only family members blend. 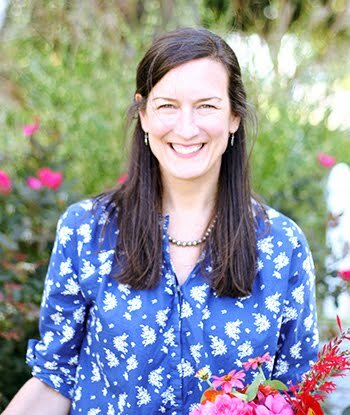 Since starting out with that signature blend created by founder, Ruth Campbell Bigelow, the Bigelows have crafted over 120 flavors of specialty teas, with the highest quality ingredients. 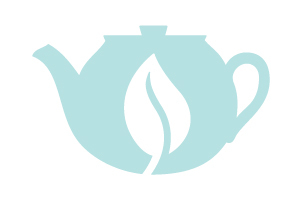 They've recently added a delicious collection of organic "steep" teas and Novus Full Leaf teas. As a gardener and tea lover, I admire and appreciate all the effort that goes into each bag. 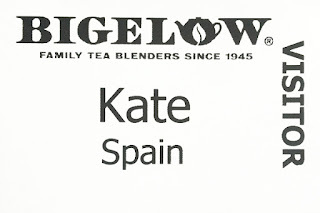 The Bigelows not only make elegant tea, they are corporate stewards of the highest order. 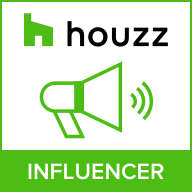 It is not only written in their guiding principles and responsibility mission to the community, to employees, to our troops, and to the environment and open spaces. It's ingrained in what they do and how they do it. I've seen this first hand in our community, where Bigelow sponsors several charity events and set up a shipping operation here in Bridgeport. And did you know? Bigelow owns the only tea plantation in the U.S. – The Charleston Tea Plantation – on Wadmalaw Island, outside Charleston, South Carolina. America's 127-acre tea garden has hosted a quarter of a million visitors over the past 10 years. Our close friends and their children visited there last year and loved the trolley tour and tea tasting. Here's a brief video about the tea-growing and tea-making operation there. In the course of our visit at Bigelow headquarters, serendipity struck. I was asked about what I do for a living, so I shared my story. 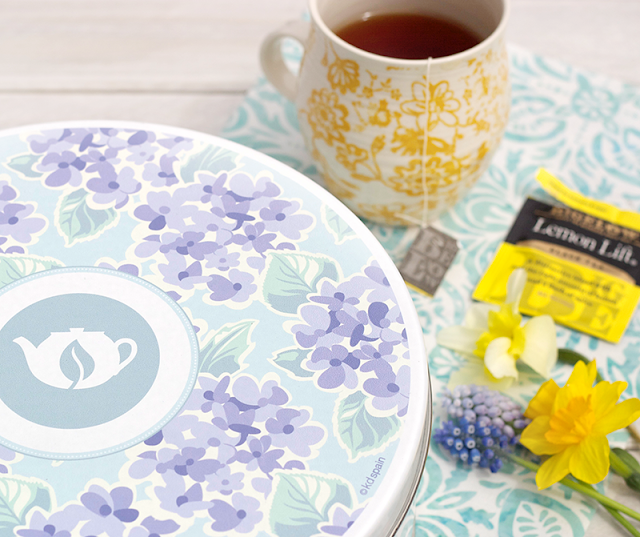 This unintentionally led to something I would never have predicted and after a couple subsequent meetings, I was given the opportunity to design this special tea tin! 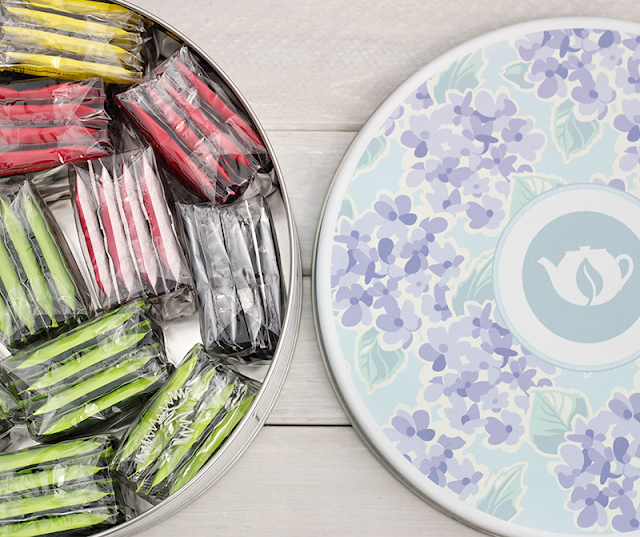 It contains 120 individually wrapped black, green, herbal, and decaffeinated teas. 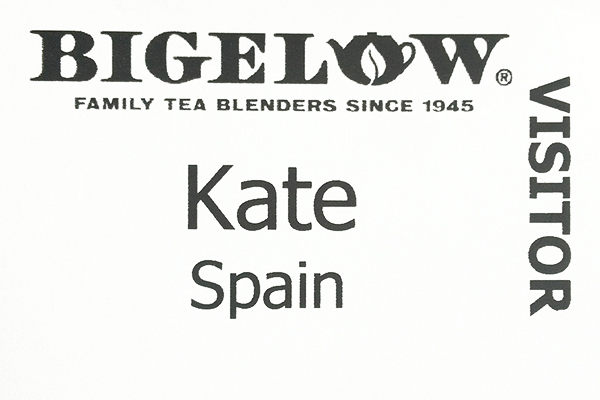 It was wonderful to collaborate with the talented team at Bigelow and now in every sip of their timeless teas, I'll be reminded of the lovely, dedicated, kind-hearted people behind the scenes. 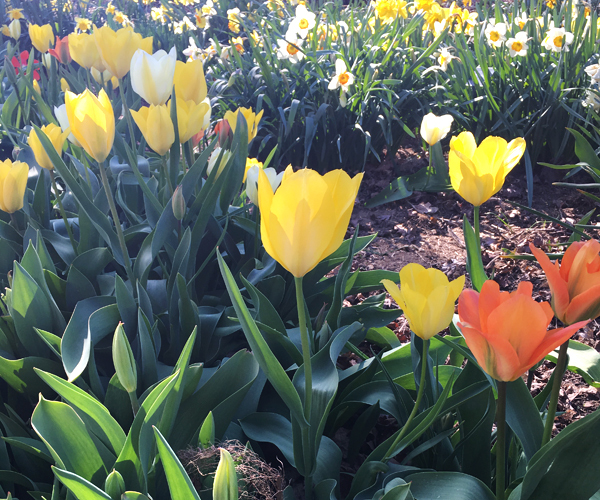 It's finally starting to feel like spring here in Connecticut. How about where you are? As many of you know, my Canyon collection for Moda Fabrics is loaded with desert flowers. I love their graceful beauty and strength, especially cactus. 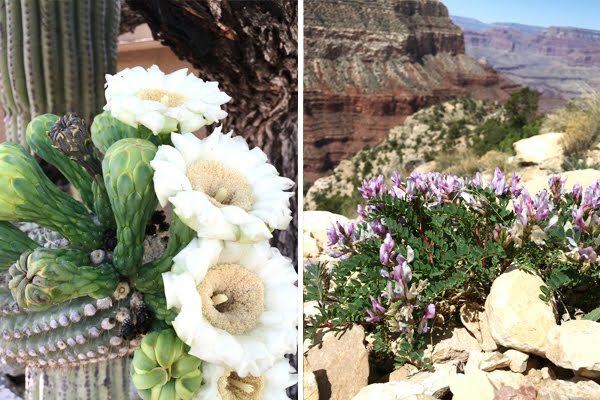 Before designing Canyon, I had never seen them blooming in the wild. I created the drawings for Canyon from photos I'd taken and sketches I'd done at botanical gardens. 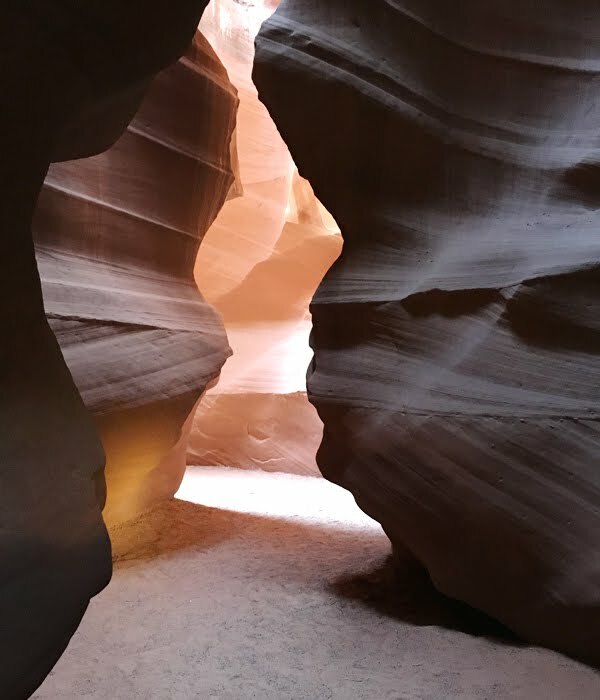 This winter, on social media, I noticed several shops in Arizona displaying some lovely Canyon quilts and projects. 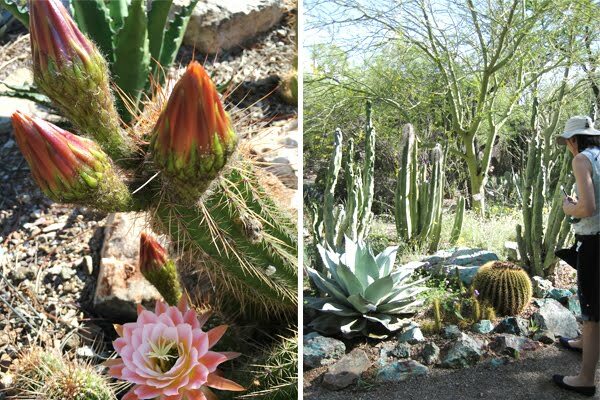 This month, I traveled to Arizona to take a closer look, at the quilts in the shops and at the flowering cactus in the desert. 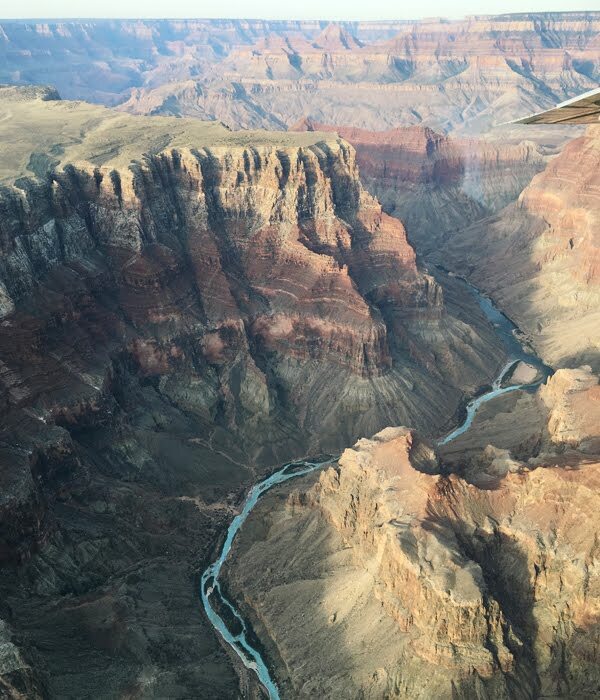 Also, I wanted to see the Canyon itself, the Grand Canyon. How lucky I was to get there, and along the way to meet many amazing quilters in their creative communities. 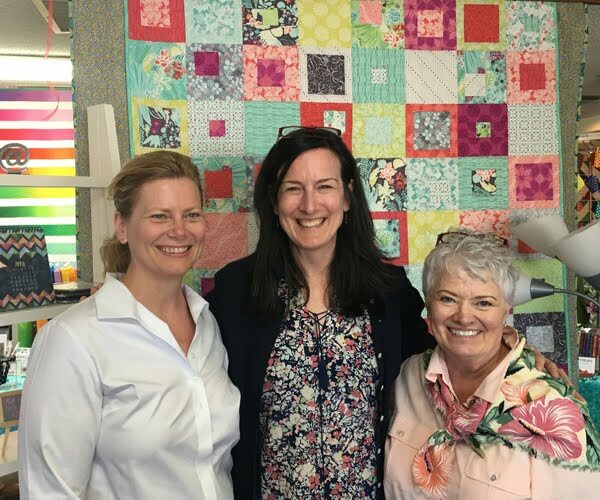 My sincere and special thanks to the quilt shops I visited and to Sonja Mann, the beloved Moda Fabrics representative for this region, for introducing me to these special places and people. I look forward to visiting again. 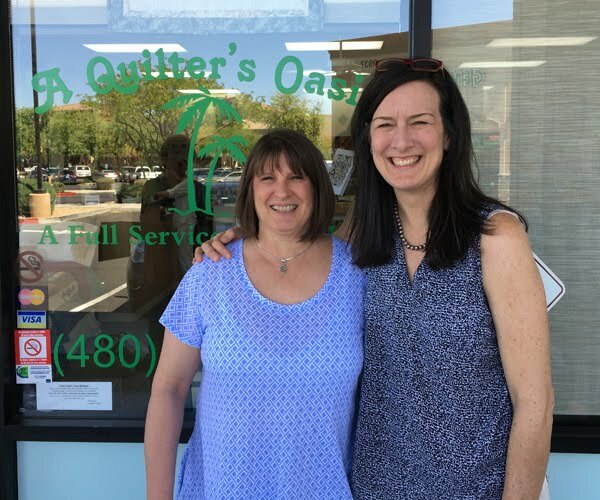 Me with Kathy at her vibrant shop, A Quilter's Oasis, in Mesa. 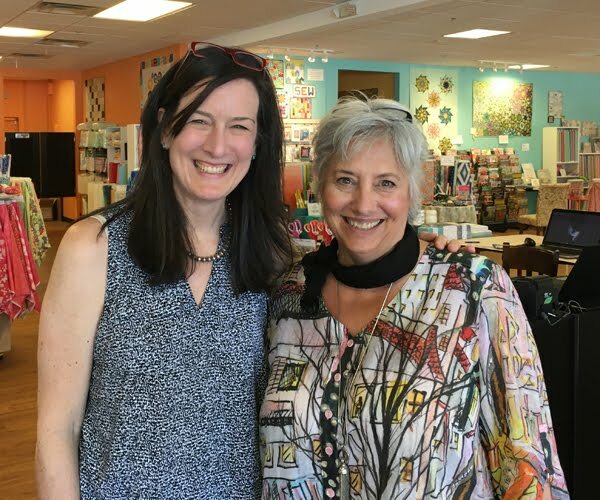 At the new and impressive Modern Quilting shop in Phoenix with the media director, Linda. Darlene, we'll see you next time! 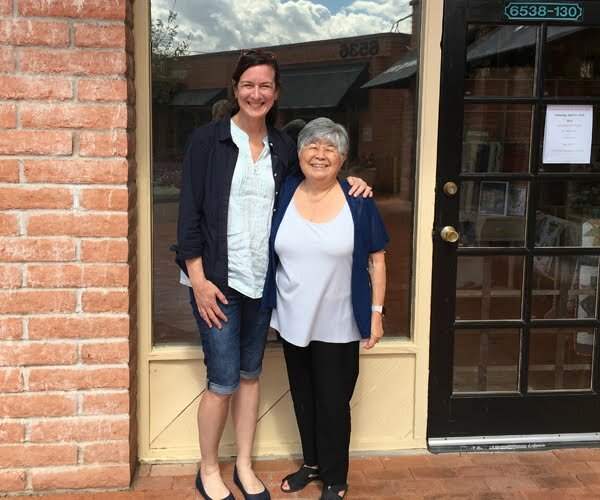 Arizona Quilts in Surprise, Arizona, explodes with color, and is the colorful creative place of Judy Verrett (shown here) and her husband Mike who does the long-arm quilting. 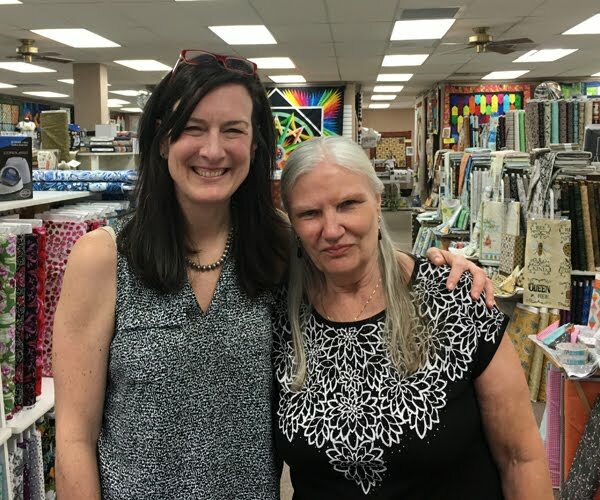 In Tucson, I got to enjoy the company of Lena and her colleagues at the terrific Quilt Basket. Lynda was a generous hostess at The Quilter's Market. Here I am with Lynda's colleague, Bonnie (in stylish scarf) and Cate (in white blouse) who made the colorful Canyon quilt on display. 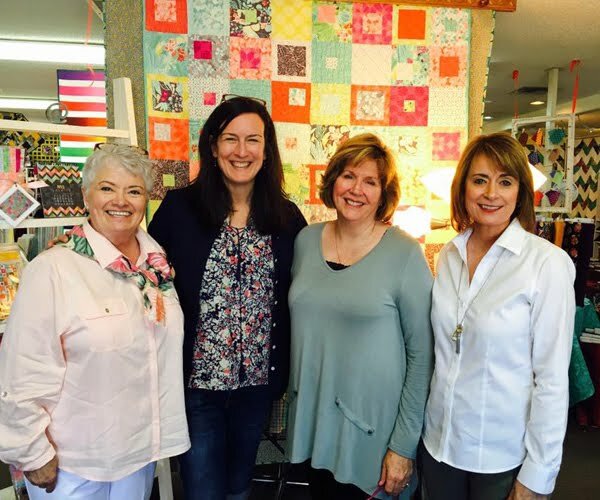 Bonnie, me, Lynda, and Sonja Mann from Moda Fabrics at The Quilter's Market in Tucson. 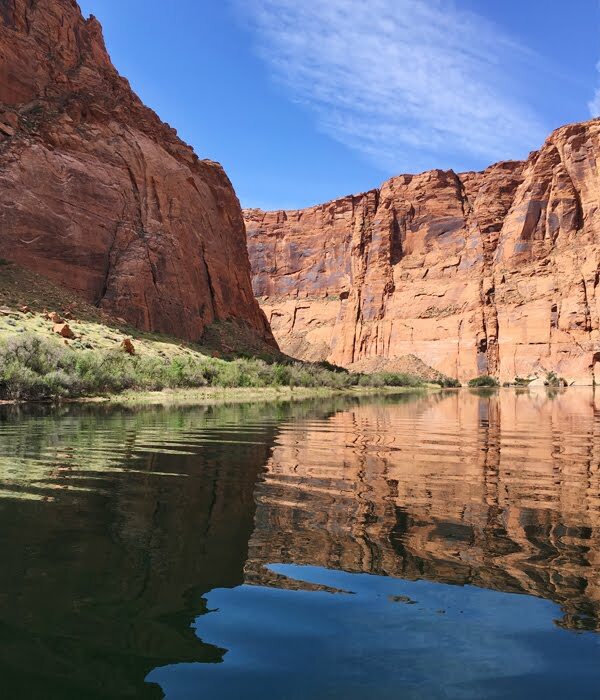 I also ventured out -- on foot, on bike, on river raft, and plane -- for desert blooms and canyons. And now I have so many new ideas, I've got to back to the drawing board. What are some places you've gone to that inspire your creativity?